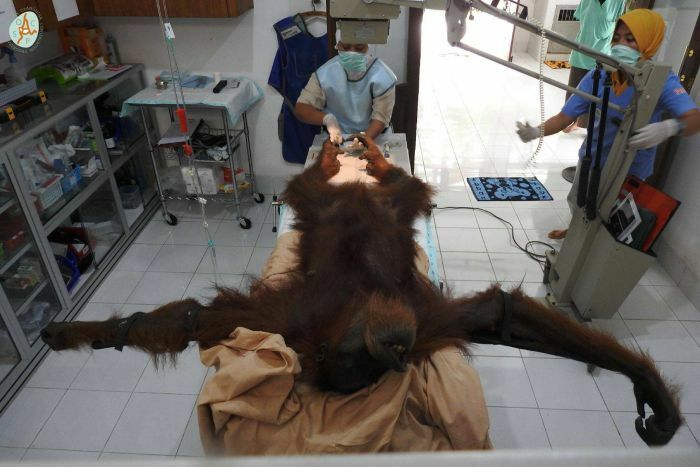 An orangutan is recovering in intensive care after being rescued from an Indonesian palm oil plantation, blinded and riddled with air rifle pellets. The female orangutan and her one-month-old baby were evacuated from a village near Subulussalam City in the province of Aceh earlier this week. The mother had also sustained wounds to her right arm and leg, believed to have been inflicted by a sharp tool, and had a number of fractured bones. Dr Saraswati said the team prioritised the broken bone because of the infection risk. Meanwhile, the Indonesia’s Ministry of Environment and Forestry has vowed to “thoroughly investigate” the mistreatment of the orangutans. “[The department] strongly condemns the savage actions carried out by irresponsible people who persecute protected wildlife,” a spokesperson said on Twitter. 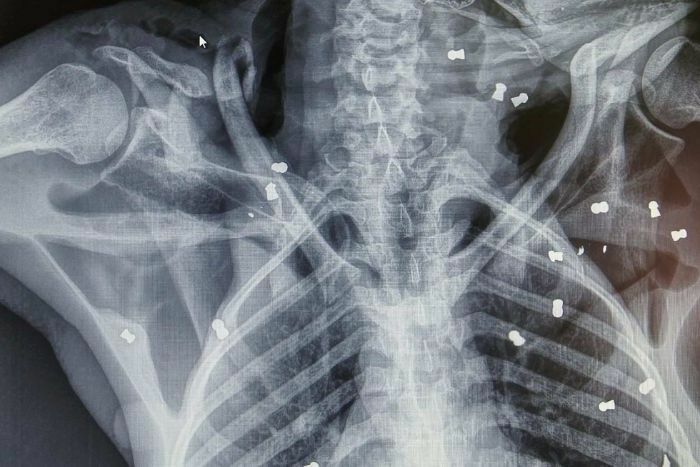 A Sumatran Orangutan Conservation Programme spokesperson said the organisation had treated more than 15 orangutans in the past decade, with around 500 air gun pellets in their bodies. They said air rifles were readily available in Indonesia and had become a major problem. 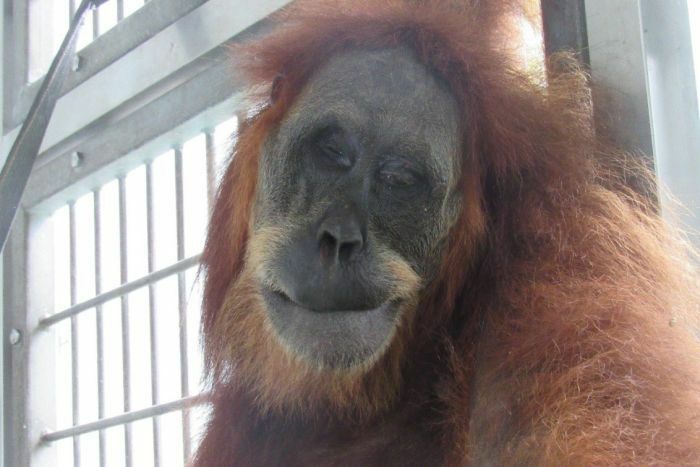 Last year an orangutan died in an Indonesian portion of Borneo after it was shot with more than 130 pellets. A petition calling for the banning of air rifles in Indonesia has attracted more than 11,000 signatures since the story of Hope broke, with the campaigner calling for the perpetrators of animal cruelty to be “severely punished”. A 2018 comprehensive study of Borneo’s orangutans estimated their numbers had plummeted by more than 100,000 since 1999, as the palm oil and paper industries shrink their habitat and fatal conflicts with people increase. Only around 13,400 Sumatran orangutans remain in the wild. The species is listed as critically endangered by the International Union for the Conservation of Nature.